It is impossible to suggest specific guidelines for people to follow when it comes to hydration quantities, however there are some general points to consider which will help you formulate your own hydration plan. Always start exercise in a well-hydrated state. Try not to drink too much as being overhydrated is unlikely to benefit your performance and may cause bloating. For most people, 200-300ml every 10-15 minutes works well, depending on the intensity of the activity. Repeat this process during different training sessions, at varying times of the day and in a range of seasonal temperatures, keeping a record of your sweat rate. Over time you will see a pattern emerge showing how much fluid you lose depending on the conditions, and how much you need to replace after training. Aim to replace your final fluid loss at the rate of 1.25-1.5 litres for every 1kg body weight lost, over the next 2-6 hours. The type of training will dictate the practicalities of drinking before, during and after sport. With team sports for example, drinks need to be easily accessible in breaks of play. What is the best fluid to drink? 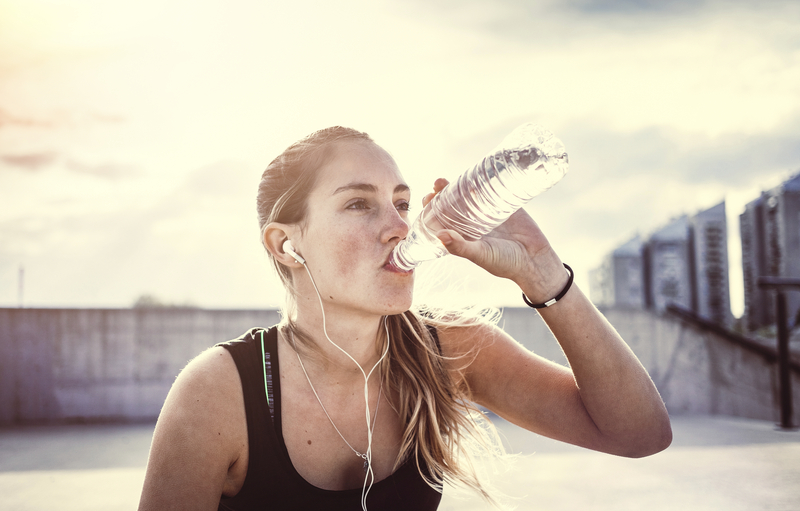 Plain water is ideal in exercise sessions that are of low to moderate intensity and last up to 1 hour in duration. Sport waters – These are often flavoured water with a small amount of added carbohydrate and sodium. Although there is no research to suggest that they enhance performance, they are often considered more palatable than plain water, encouraging fluid consumption which reduces the risk of dehydration. Sports drinks – These have been very precisely configured to contain the exact combination of water, electrolytes (e.g. sodium and potassium) and carbohydrate to actively increase the rate of hydration and in turn, enhance performance. These are ideal during prolonged, intensive exercise. Low fat milk – After exercise, low fat milk makes a great recovery drink. Not only does it help with rehydration, but it also provides valuable protein and calcium.